From the national bestselling author of Alice comes a postapocalyptic take on the perennial classic "Little Red Riding Hood"...about a woman who isn't as defenseless as she seems. It's not safe for anyone alone in the woods. There are predators that come out at night: critters and coyotes, snakes and wolves. But the woman in the red jacket has no choice. Not since the Crisis came, decimated the population, and sent those who survived fleeing into quarantine camps that serve as breeding grounds for death, destruction, and disease. She is just a woman trying not to get killed in a world that doesn't look anything like the one she grew up in, the one that was perfectly sane and normal and boring until three months ago. There are worse threats in the woods than the things that stalk their prey at night. Sometimes, there are men. Men with dark desires, weak wills, and evil intents. Men in uniform with classified information, deadly secrets, and unforgiving orders. And sometimes, just sometimes, there's something worse than all of the horrible people and vicious beasts combined. "Red was going to be the final girl, the sole survivor of a massacre, just like in horror movies." In this new post-apocalyptic world, there are three evils. The Cough who's wiping up millions, the unknown and the evil Humans. Or more specifically the evil male humans who would do anything to get a hold of women and children. Our protagonist goes by the name of Red. Her real name is Cordelia and her mom calls her Delia. Yet, she only responds to Red. As you can guess, she wears a red hoodie. When Red was eight, a car hit her and she lost her leg. She wears a prosthetic leg but she doesn't have time to wallow in self-pity. The accident made her stronger. She becomes a survivor. Her love for horror movies and biology help with her self-preservation. A new plague has come over the world. It started with a simple cough. Whoever gets infected, won't survive the virus. Red's plan is to move from their home to the safety of her grandmother's house. She's packed and ready to go. She just needs to convince her parents and her brother Adam to hurry. She knows they are running out of time. The road to her grandmother's house is full of dangers. Evil men are lurking everywhere. Red won't trust anyone. She's ready to defend herself at any cost. Yet, a greater danger is out there. She can feel it. 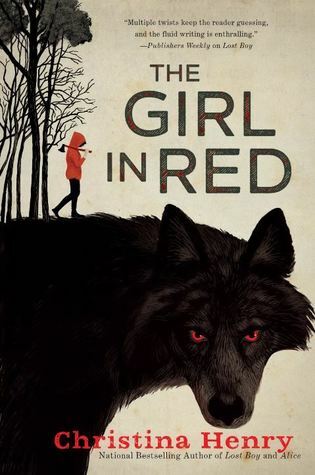 The Girl is Red is the retelling of Red Riding Hood. We all know there is a wolf somewhere out there. Red is desperate to seek the comfort of her grandmother's home. Red was not your typical heroine. She knows all the dumb mistakes characters make in the horror movies she has watched and she won't make any of them. Stay together, be patient, avoid the highways, pack the right survival kit, defend yourself ask questions later, don't trust anyone, trust your instincts, all things Red follows are what differentiates her from the rest. Yes, she has weaknesses but not the dumb ones. As secondary characters go, Sirois is an intriguing one. I wish I had seen more of him. I hope there is a second book to learn more about him. There are so many things that were not explained in The Girl in Red that a sequel is worth it. Even the end felt anticlimactic. Anyway, I hope there is more. "Good luck to you then, Red Riding Hood." A complimentary copy was provided by Berkley books via Netgalley in exchange for an honest review. A missing woman receives a second chance at life, thanks to her billionaire husband--but the consequences are deadly in this gripping psychological thriller from the New York Timesbestselling author of The Girl Before. Abbie awakens in a daze with no memory of who she is or how she landed in this unsettling condition. The man by her side claims to be her husband. He's an icon of the tech world, the founder of a lucrative robotics company. He tells Abbie that she is a gifted artist, an avid surfer, a loving mother to their young son, and the perfect wife. He says she had a terrible accident five years ago, and that, through a huge technological breakthrough, she has been brought back from the abyss. She is a miracle of science. But as Abbie pieces together memories of her marriage, she begins questioning her husband's motives--and his version of events. Can she trust him when he says he wants them to be together forever? And what really happened to Abbie half a decade ago? "I'm so happy you're finally here. That we're together again, at last." Well, I wasn't expecting this. The synopsis is a little bit deceiving. Since I don't want to ruin the experience for anyone else, I'll hold off from divulging too much. 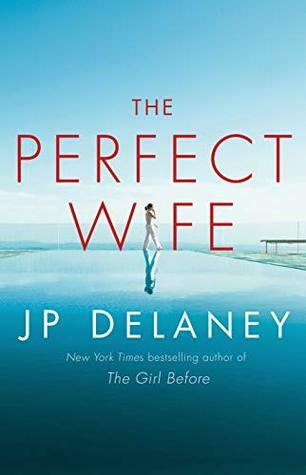 The Perfect Wife is a creepy novel. The mystery centers around a young mother, Abbie Cullen What really happened to her? Abbi is an artist who's hired by a robotics company and here is where she meets the owner, Tim, a millionaire tech guide. She proceeds to marry him and they have a child together, Danny. Then, like waking up from a dream, Abbie opens her eyes and she can't remember much of what has happened to her life in the last five years. When she wakes up, the only face she recognizes is her husband's. Tim tells her she has been gone for five years. It will be up to Abbie to put the pieces of her life back together. The Perfect Wife had a component of suspense combined with sci-fi. There is a lot of tech talk and AI information which is extremely intriguing to me. Our world is constantly morphing because of it. AI is everywhere and will only surround us more. Do I love AI? Absolutely. Some of the things related to technology in this book are probably already in the works by some crazy people. It wouldn't surprise. J.P. Delaney brings many good questions to the table and some of them are quite scary. Why after everything robot Abbie does, she has to die? The real Abbie already died. Why does the evil predator win? Is the premise of the book that no matter what, the men will always win? Yes, Robot Tim might kill the real Tim but what if he doesn't? Then still a male robot wins.It doesn't help either Abbie. No justice for human Abbie or robot Abbie. A complimentary copy was provided by Ballantine Books via Netgalley in exchange for an honest review. From the author of Happiness for Beginners comes an unforgettable love story about finding joy even in the darkest of circumstances. Margaret Jacobsen has a bright future ahead of her: a fiancé she adores, her dream job, and the promise of a picture-perfect life just around the corner. Then, suddenly, on what should have been one of the happiest days of her life, everything she worked for is taken away in one tumultuous moment. In the hospital and forced to face the possibility that nothing will ever be the same again, Margaret must figure out how to move forward on her own terms while facing long-held family secrets, devastating heartbreak, and the idea that love might find her in the last place she would ever expect. 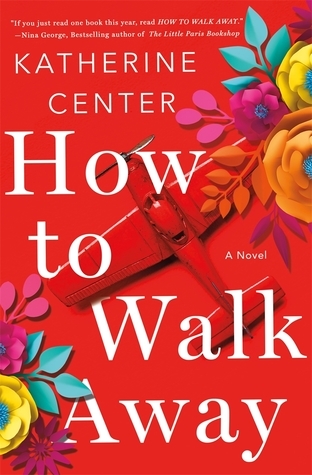 How to Walk Away is Katherine Center at her very best: an utterly charming, hopeful, and romantic novel that will capture reader’s hearts with every page. How terrifying it has to be to have your worse fears come to life! This is exactly what happened to Margaret Jacobsen. Margaret, a young woman, has everything to live for. She loves her boyfriend, Chip and she's about to start an amazing job. Anybody who knows Margaret knows she's driven. Then, a horrible event will destroy all her dreams and aspirations. Maggie will have to ask herself, is life worth living? I read The Things You Save In A Fire, my first book by Katherine Center and I absolutely loved it. It was a 5 star for me. I couldn't believe this was my first book by this author and I immediately had to download this one. There are so many things I loved about How to Walk Away. There's the banter, Maggie's sister Kitty, who's by the way, my favorite secondary character. And then, there's Ian. Oh Ian, so many things I loved about you. From your Sottish brogue to your amazing connection with Maggie. Katherine Center has a knack for making up characters that I wish I could meet. I wish I could've helped Maggie. My emotions were all over the place. I didn't want for her to give up but I also understood how losing it all can devastate someone. It's so hard to start over! Maggie had more than enough reasons to not want to. “I wasn’t a person who failed things. My one complaint will be the scene closer to the end. It was too cookie cutter for me. Too over the top if you know what I mean. How to Walk Away had a winning combination. Realistic characters and dialogue. I can't wait to see what Katherine Center delivers next. #1 New York Times bestselling author David Baldacci introduces a remarkable new character: Atlee Pine, an FBI special agent assigned to the remote wilds of the western United States. Ever since her twin sister was abducted by a notorious serial killer at age five, Atlee has spent her life hunting down those who hurt others. And she’s the best at it. She could be one of the Bureau’s top criminal profilers, if she didn’t prefer catching criminals in the vast wilderness of the West to climbing the career ladder in the D.C. office. Her chosen mission is a lonesome one–but that suits her just fine. Now, Atlee is called in to investigate the mutilated carcass of a mule found in the Grand Canyon–and hopefully, solve the disappearance of its rider. But this isn’t the only recent disappearance. 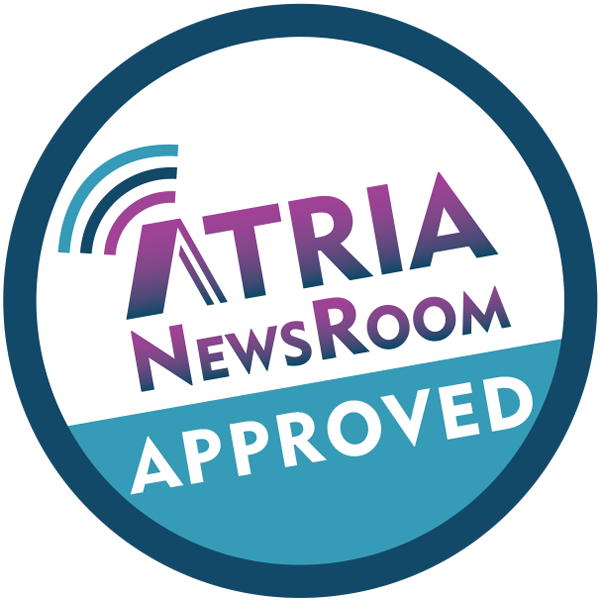 In fact, it may be just the first clue, the key to unraveling a rash of other similar missing persons cases in the canyon. . 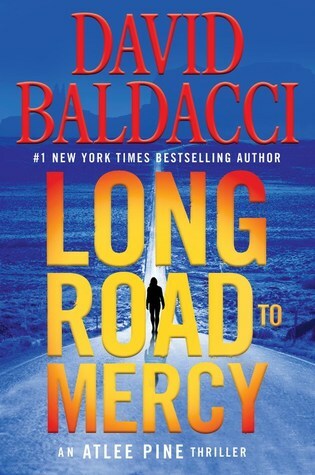 I was excited to start a new series by David Baldacci especially since I love so many of his other books and I had heard Long Road to Mercy had a female protagonist. Yet, I didn't end up loving it. I thought it was just ok.
Atlee Pine is the protagonist of Long Road to Mercy. When she was five years old, a man broke into their home and kidnapped her twin, Mercy. The stranger hurt Atlee physically but more so mentally. She was never the same after it. That event molded the rest of her life including her chosen career. She's an FBI special agent. She doesn't play well with others and she likes it that way. She was almost an Olympian weightlifter. She keeps herself in shape. She's tall and muscular and so very smart. Currently, she's working at the Shattered Rock's FBI one agent office. When she gets a call that a mule has been killed in the Grand Canyon, is up to Atlee to go an investigate. Not only has the mule been mutilated, something has been carved on its skin and the man who rode her down the Canyon, Ben Priest, is missing too. What continues is a crazy plot involving North Korea, Russia and the American government. Helping Atlee uncover the mystery is Sam, a park ranger and Atlee's assistant, Carol Blum. I like all three characters. I want to know more about Mercy and her disappearance. I want to know more about Sam. Mr. Baldacci suggests a romance might be developing between Atlee and Sam which I think could improve the series. Carol was probably my favorite character. She had a backbone and she was ready to support Atlee in her quest to find the truth. I'm sure we will hear more about the man who took Mercy away, Daniel James Tor too. Audrey, a young woman from London, has left behind a heartache of her own when she arrives in Paris. A job in a bookshop is her ticket to freedom, but with no money and no knowledge of the French language, suddenly a summer spent wandering the cobbled streets alone seems much more likely…until she meets Grace and everything changes. 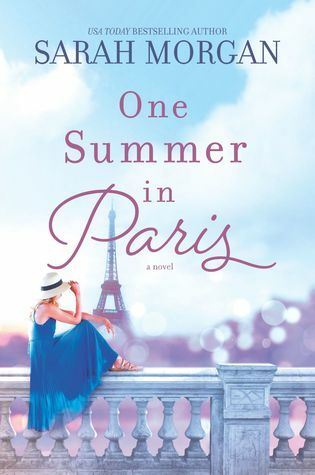 One Summer in Paris is about two women, Grace Porter and Audrey Hackett. They live in different worlds until their worlds collide in the City of Lights. Grace lives in Connecticut. She's married and has a teenage daughter, Sophie. She visits her grandmother, Mimi frequently who's living in an assisted living. Grace is happy with her life and she's excited about celebrating her twenty-five-year anniversary. She has planned to surprise her husband with a vacation of a lifetime, a trip to Paris for one month. At dinner and before she's able to discuss her plans, her husband David proceeds to let her know that he has fallen in love with another woman. A younger woman who's closer to her daughter's age. David wants a divorce. Thousand of miles away, Audrey Hackett is trying to save enough money to leave her home in London and move to France. Audrey is dyslexic and going to college is not in her plans. Her mother is an alcoholic. Growing up with her mother was difficult and Audrey is ready to leave it all behind. Lately, things have been better after her mother starting dating Ron. Audrey has felt responsible for her mother but with Ron in the picture, she thinks she can move on. Grace, not wanting to lose her vacation, decides to go to Paris by herself. Here she meets Audrey. Their paths will cross and a new friendship will blossom. One Summer in Paris was quite entertaining. I like both female characters. Despite having different personalities, they complemented each other quite well. They were there for each other when one needed the support. They also help each other grow and defeat their fears. 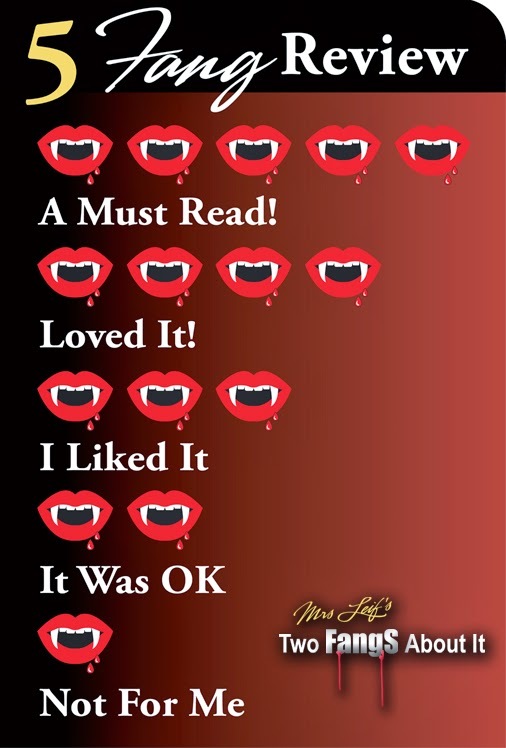 A complimentary copy was provided by HQN Books via Netgalley in exchange for an honest review. From the New York Times, bestselling author of How to Walk Away comes a stunning new novel about family, hope, and learning to love against all odds. Cassie Hanwell was born for emergencies. As one of the only female firefighters in her Texas firehouse, she's seen her fair share of them, and she's excellent at dealing with other people's tragedies. But when her estranged and ailing mother asks her to uproot her life and move to Boston, it's an emergency of a kind Cassie never anticipated. The tough, old-school Boston firehouse is as different from Cassie's old job as it could possibly be. Hazing, a lack of funding, and poor facilities mean that the firemen aren't exactly thrilled to have a "lady" on the crew, even one as competent and smart as Cassie. Except for the handsome rookie, who doesn't seem to mind having Cassie around. But she can't think about that. Because she doesn't fall in love. And because of the advice, her old captain gave her: don't date firefighters. Cassie can feel her resolve slipping...but will she jeopardize her place in a career where she's worked so hard to be taken seriously? 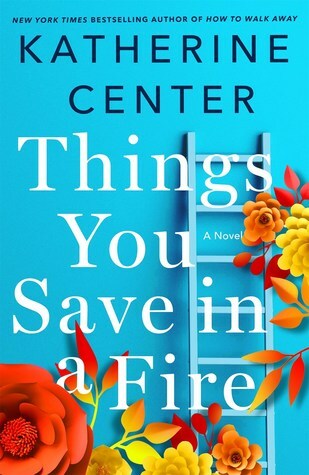 Katherine Center's Things You Save in a Fire is a heartfelt, affecting novel about life, love, and the true meaning of courage. "The best revenge is forgetting." Things You Save in a Fire by Katherine Center is what I call - from beginning to end - a beautifully crafted novel. I love every single thing about this book. It has an amazing heroine, a great storyline, and a fantastic ending. Yes, these are my opinions and I can stand behind them 100%. Why haven't I read any of Katherine Center's books before? How in the world is this possible? Don't worry about it, I'll correct this huge oversight very quickly. Let's get to the story. Our heroine, Cassie Hanwell (who's freaking amazing!) is fantastic at her job. She's a firefighter and a paramedic. She has worked hard to be where she's at. She doesn't date and she doesn't fall in love. Love makes you weak and she can't let anyone hurt her again. Her mother abandoned Cassie and her father on her sixteen's birthday. She has never forgiven her mother and she doesn't think she ever will. For Cassie, there's nothing else but her job and her firefighter family. When Things You Save in a Fire begins, Cassie is about to receive the Valor Award for her bravery after saving children trapped in a bus. Her engine family (B-shift from Station Eleven) is with her, supporting her. Then, the absolute worst happens. The next day, her captain is telling her she has 2 choices. The first choice, she either apologizes or she gets fired. The second choice, if there are no charges filed against her, she can be transferred out. Cassie has no choice but to accept her second choice. She will have to leave Austin, the job she loves and her friends and move to Massachusetts with her mother whom she has barely spoken to in ten years and start a new job in a new town where only men are supposed to be firefighters. As a farewell, her captain gives her advise in the form of a list of rules to follow with her new squad. Cassie knows she's up to the challenge until her first day when she meets the new rookie. Things You Save in a Fire is so much more than a romance. It's about forgiveness, self-respect, family relationships and believing in doing the right thing above all. The narrative was superb, the characters were fantastic. I fell in love with Cassie. She's my new girl crush. She didn't apologize for knowing she was good at something. She fought for her job and she recognized that loving the right someone can you give strength and not weakness. “The answer wasn’t to never love anyone. A complimentary copy was provided by St. Martin's Press via Netgalley in exchange for an honest review. 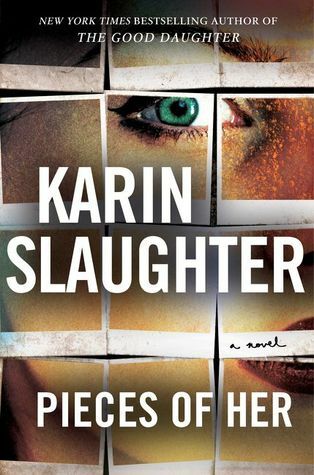 The #1 internationally bestselling author returns with a new novel in the vein of her New York Times bestsellers Pretty Girls and The Good Daughter—a story even more electrifying, provocative, and suspenseful than anything she’s written before. What if the person you thought you knew best turns out to be someone you never knew at all . . . ? Andrea Cooper knows everything about her mother, Laura. She knows she’s spent her whole life in the small beachside town of Belle Isle; she knows she’s never wanted anything more than to live a quiet life as a pillar of the community; she knows she’s never kept a secret in her life. Because we all know our mothers, don’t we? But all that changes when a trip to the mall explodes into violence and Andrea suddenly sees a completely different side to Laura. Because it turns out that before Laura was Laura, she was someone completely different. For nearly thirty years she’s been hiding from her previous identity, lying low in the hope that no one would ever find her. But now she’s been exposed, and nothing will ever be the same again. The police want answers and Laura’s innocence is on the line, but she won’t speak to anyone, including her own daughter. Andrea is on a desperate journey following the breadcrumb trail of her mother’s past. And if she can’t uncover the secrets hidden there, there may be no future for either one of them. . . . Pieces of Her started with a bang, literally. Andrea Cooper, a thirty-one-year-old woman, is having lunch with her mother, Laura Oliver, in celebration of her birthday. They are discussing Andrea's next move. Andrea works as a 911 dispatcher. She was living in NYC but moved back home when her mother, Laura was diagnosed with breast cancer a few years back. Now, her mother thinks it's time to go back to NYC and start living. As they are discussing this, a young man comes into the dinner and starts shooting. Andrea and her mother almost die but by the end of the night, Laura's actions are brought into question. Andrea is told not to talk to the cops and Andrea feels like she has lost her mother's affection. Worse, her mother is kicking her out. She must move out that same night. What happens next will chase Andrea away. She'll have to run and hide. Some very bad people are after her. The only way to know what's really going on is for her to unravel what her mother has been hiding for 32 years. I wasn't sure what to think about Andrea at the beginning. I was mad she was acting like a catatonic dummy and she had no reaction time during the shooting. Yes, I admit, in her situation, I'd probably be the same but come on, the women in books should be sturdier and smarter! Anyway, I do love how Karin Slaughter was able to grow her as a character and by the end, she could stand on her own two feet. Laura, on the other hand, was a force to be reckoned with. I do not want to have her as an enemy. She has learned from her past mistakes and was not going to make them again. Pieces of You is mostly about a mother and her daughter. The past and the present are presented to the reader at different times. We learned about Laura and what made her change and what they're both capable to do in order to survive. I enjoyed it from beginning to end. I switch from audible to kindle and vice-versa. It was a fun ride. If I had to express a couple of complaints, my first one will be that I'd love to see more Mike and Andy interaction. My second one, you'll have to ask me because it's a spoiler.